Don't get me wrong I was a big fan of the movie, but If you take a closer look at the real Titanic versus the movie Titanic, you'll find some, here are the pictures to prove it. As you can see on the movie Titanic the people are real easy to see, but if you notice on the real Titanic if you look carefully you will see a person standing at the very end of the ship. You can see that the real Titanic was much bigger than the movie Titanic you can also see that on the real Titanic the black window cells go all the way around the end of the stern(back end) and on the movie Titanic The Windows have a gap from the side windows to the back and then there is four windows in the back, so as you can tell James Cameron didn't go all out as I would have in the smallest detail like that. 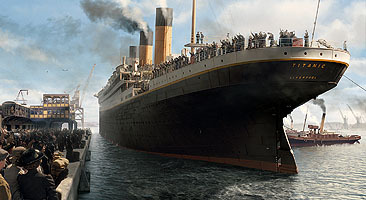 Conclusion: If you thought the Titanic in the movie was big too bad the real Titanic wasn't for showing. 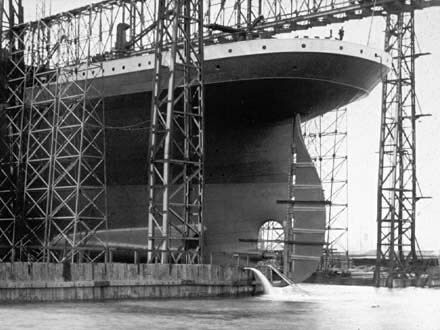 Article not intended to insult or criticize James Camersons Titanic.